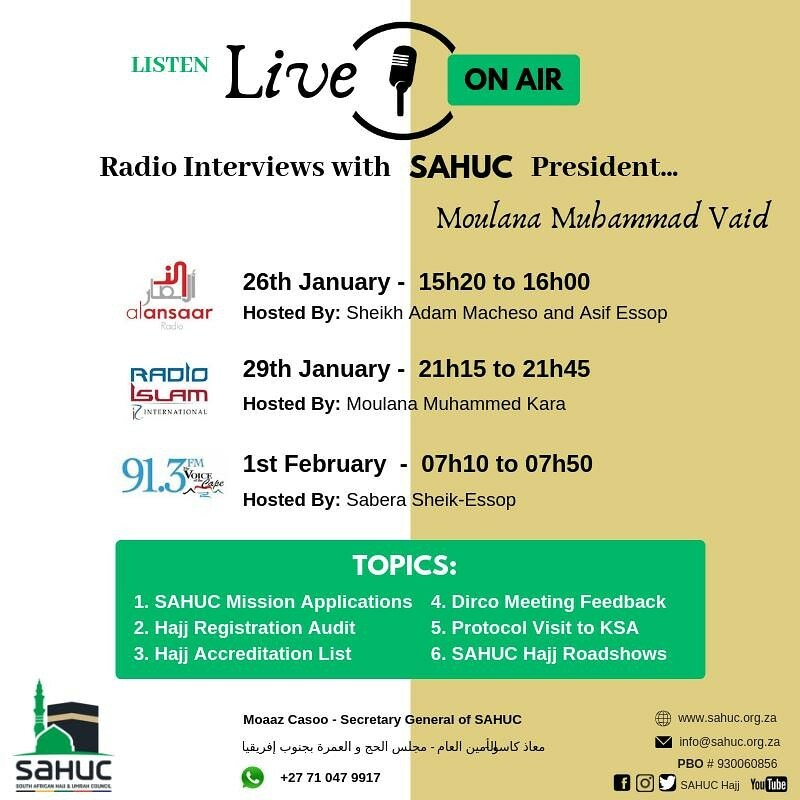 SAHUC Accreditation list will be undergoing an external audit by AMAL. Accreditation list for 2019 /1440 will be released in February 2019. 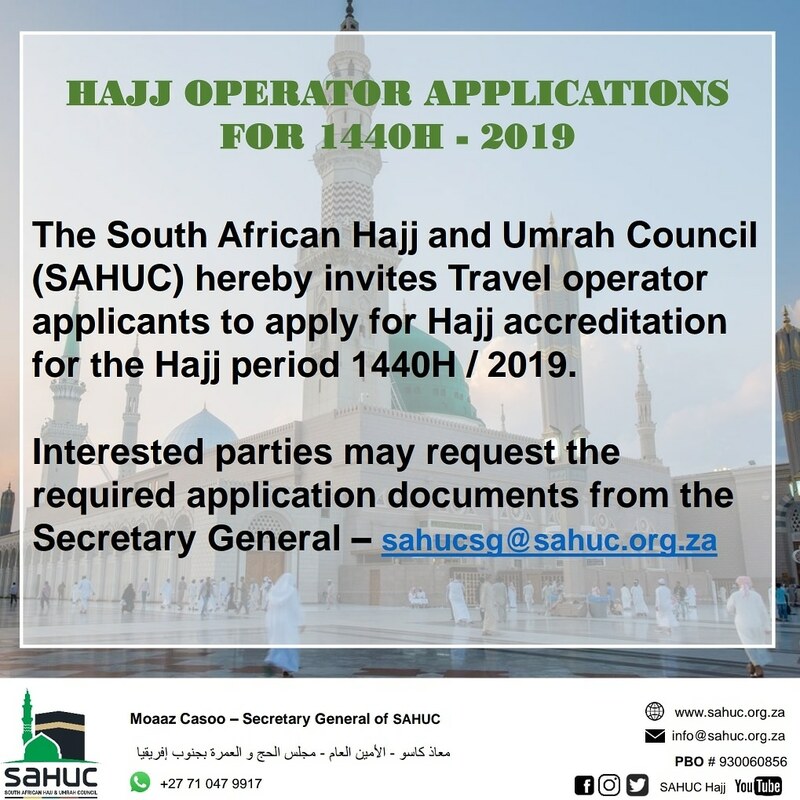 The BOARD and National General Council (NGC) member organizations of the South African Hajj and Umrah Council (SAHUC) hereby extends an invitation to interested applicants to apply to be part of the SAHUC team of Hajj and Medical Mission workers for the coming Hajj season 1440H / 2019.